The director of the critically acclaimed White God employs his uniquely talented eye to create this riveting Palme d’Or nominated supernatural thriller. Adorned with heart-pounding car chases and sensational gunfights that are complemented by beautifully fluid and kinetic camerawork, Kornél Mundruczó brings spectacle that rivals any Hollywood production to tell a timely European story. A young refugee called Aryan is shot while illegally trying to cross the Hungarian border to escape his war-torn home. While tending him back to health, a doctor at a refugee camp discovers that Aryan has gained an extraordinary talent – he can levitate at will. But the doctor has his own predicament that he needs to escape from and offers to smuggle Aryan out of the camp if, in return, he helps him make some money by using his new miraculous gift. With Jupiter’s Moon, Mundruczó marks himself as one his generation’s most visionary directors by touching on eternally mythic themes and contemporary political issues alike with visually mind-bending aplomb. 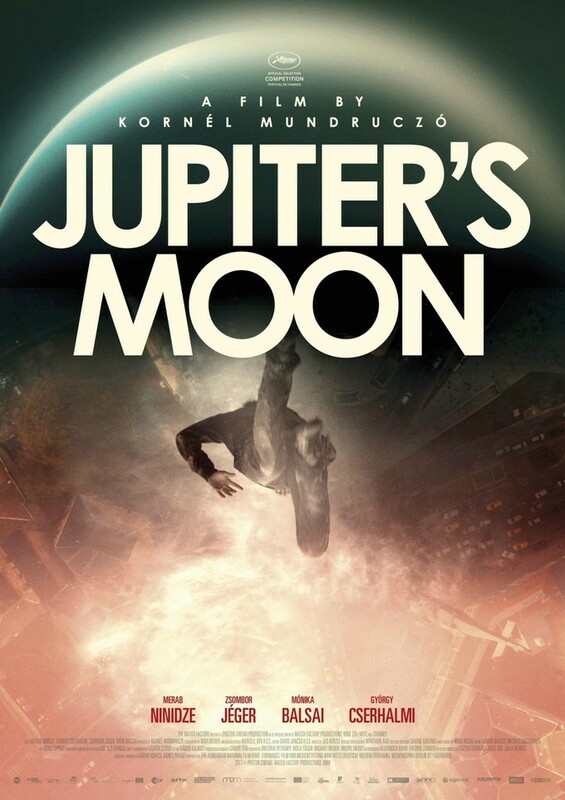 Jupiter's Moon opens in cinemas and online January 5 , 2018.